Sometimes a chat conversation at work gets...dramatic. Wes: r u excited about your space adventure tomorrow? Eden: i am very excited!!!!! are you excited to pew pew aliens and enemy spacecraft? what if i fail at my job? E: we picked you because you are a capable, strong man. [ . . . ] One thing that I want you to know, and that is, we must not underestimate the joy of heaven. Consider 3rd Nephi. In Chapter 10, upon the annihilation of the wicked Nephites, Christ was lamenting their destruction and loss. Indeed, great was His loss, as He had to send so many of them to their eternal damnation. And yet, atmost 3 days later, in Chapter 17:20, after seeing the righteousness of the survivors, and praying to the Father, He told the righteous Nephites, that His joy was full. How is that possible? The destruction of so many souls that He loved and died for happened so recently. How can He be joyful, not to mention, fully joyful, again just a few chapters later? The answer, Eden, I think is that hell, with all its fury and sadness, is infinitely small compared to heaven. Hell has no power to deprive Heaven of its Joy! This is a gospel of truth with a plan of happiness. Christ lives, He loves us and He will never leave us alone. Lately, your nights end like this. All by yourself in an empty apartment, with only your sobbing to keep you company. Sadness is amplified when you're alone. And the recent air of death around you seemed to have pushed the closest people away from you. Or maybe they were never there for you anyway, and you're just now noticing it. I've seen you fill your home with new friends and interactions in hopes that someone will notice you and catch you, in hopes of keeping your mind off of the night. But when the sun is down, you're falling onto your pillow, drowning in salty waters. I hope there are ton of mahjong tables for you up in heaven. Save a match for me, Po Po. And I hope heaven is, well, Heavenly. It's been a while, and it's been introspective. When I first found out that she left the church, my roommate shared a scripture with me: Alma 31:31-35. The last verse brought us to tears. 35 Behold, O Lord, their souls are precious, and many of them are our brethren; therefore, give unto us, O Lord, power and wisdom that we may bring these, our brethren, again unto thee. Her soul is precious, but I haven't the power nor wisdom. I offered a compromise because I didn't want to lose a relationship with her and her children. "I'll respect your beliefs if you respect mine." But since then, I've needed to always be on the defensive. With constant talk coming from her, my mind started getting muddled—my sword is small, but my faith is greater than my doubts. Everytime I was alone with her, she attacked my beliefs. And after she attacked, she came to me with an olive branch to lure me back in and give me the feeling of "Everything's good between us" or "I respect your point of view." This abuse was abused. Each attack, she would always reach out to me after. These gave me hope that she wouldn't attack again, though it made me more cautious. But when it turned out she was furious I turned to our parents for support and told me to "Leave my parents out of my life," I began to see the patterns. And sure enough, her olive branch came. And I decided not to take it this time. Let me introduce you all to one of my favorite professors at BYU: Professor Gaskill. I've never had a more energetic, more engaging professor in my college career. His world religions class can be irreverent at times, with him cracking jokes about his mother-in-law or about times he's embarrassed himself, but he is very intelligent and knows a great deal theologically. In fact, he's been called Hugh Nibley on amphetamines...or was it methamphetamines? Either way, even though class can be rowdy, you can tell he holds the truth, found in many religions, in the highest esteem. 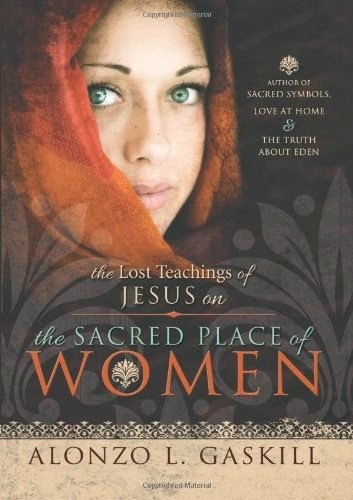 I recently interviewed Professor Gaskill on his newly published book The Lost Teachings of Jesus on the Sacred Place of Women. Photo from Amazon, where you can also purchase the book. It seems to me almost like destiny the way Prof. Gaskill came across these scrolls. He was just hanging out at a used bookstore and found some Russian guy's journal. It recounted his trip to Tibet and discovery of scrolls at a Buddhist monastery. These scrolls had some of Christ's teachings and it contained sermons that aren't included in our New Testament today. One of these sermons was on women and was, as Prof. Gaskill said, "the only part that really drew me in—enough to write a book on it, anyway." I had this whole thing written about how this was the year I was going to hit the ground running and how I was going to figure out my life and everything. I quickly erased it because, let's be honest, I have no idea what I am doing. I hope I can figure things out soon.